As a young boy growing up in Lac-Mégantic, Gabriel Filippi lived in fear of drowning. A close encounter in a childhood swimming pool left him terrified of the depths, but he had no idea that it was the heights of this world that would eventually call him—and threaten his life over and over again. In the course of 20 years spent scaling the highest peaks in the world, Filippi has repeatedly cheated death. From a Taliban attack on a mountainside in northern Pakistan that felled ten of his climbing companions to the deadliest disaster in Everest’s history, Filippi has survived again and again. But sometimes survival comes with a price. In The Escapist, Filippi proves an old axiom true: no climber returns from a summit the same person as when he began his ascent. Sometimes the alteration is physical, but more often it’s buried within. 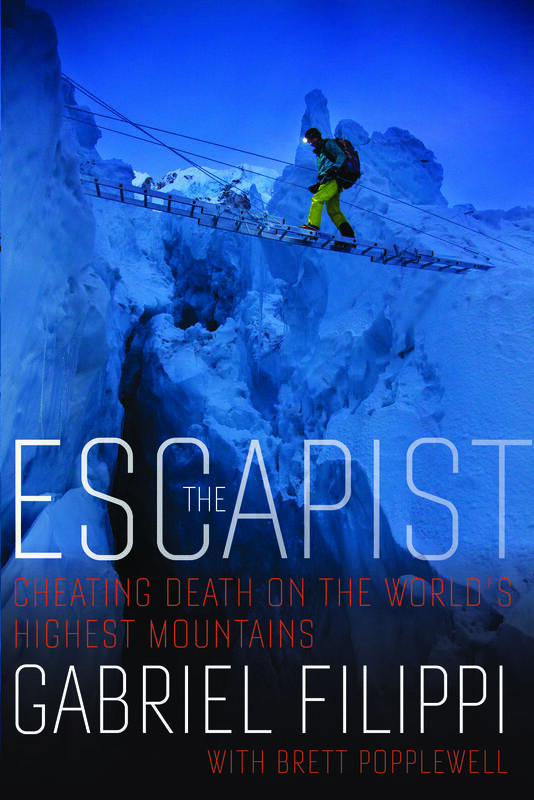 The Escapist is an unflinching account of extreme feats and devastating loss that takes readers to the highest peaks on six continents and into the deepest valleys of the human soul. 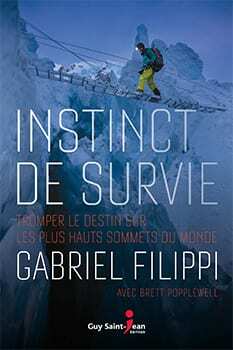 In a book marked by adventure and tragedy, Filippi dissects what it takes to get to the top of the world, and what that quest takes out of you. Haunted by survivor’s guilt and post-traumatic stress disorder, Filippi explains how life on the brink of death can change someone. He chronicles how his experiences on mountains ranging from K2 to Everest to Nanga Parbat, a mountain in Pakistan also known as The Maneater, transformed him from a hubristic young man who pushed himself to the brink into the cautious adventurer who preserved seven lives when he halted an ascent up Everest just an hour from the summit. An incredible and harrowing narrative about the struggle between life and death as a climber. Risk and death come in many forms. It’s rarely what you might expect. Most grand adventure stories tell you what they did. A very few try to get at why they did it, and how it changed them. Gabriel Filippi's story is a profound exploration of the second kind. When I met Gabriel Filippi in April 2000, he was a man in search of himself. He's since travelled an astonishing arc, coming face to face with nature's sublimity and the cruel indifference of fate. The Escapist will amaze you. Gabriel Filippi is one of the world`s most accomplished mountaineers. The second Canadian and only Quebecer to climb both faces of Everest, he has scaled the highest peaks of six of the world’s continents. An ambassador for his hometown of Lac-Mégantic, Filippi is also an Ironman, a young grandfather and a seasoned public speaker. Brett Popplewell is a National Magazine Award—winning writer and editor. He has written for SportsNet magazine, the Toronto Star, the Globe and Mail, Maclean’s, and the Walrus. His work has also appeared in The Best American Sports Writing.